Thanks for this! I finally got around to reading P&P, and I LOVED IT. So much. I followed it up with the 1995 miniseries, as you suggested. 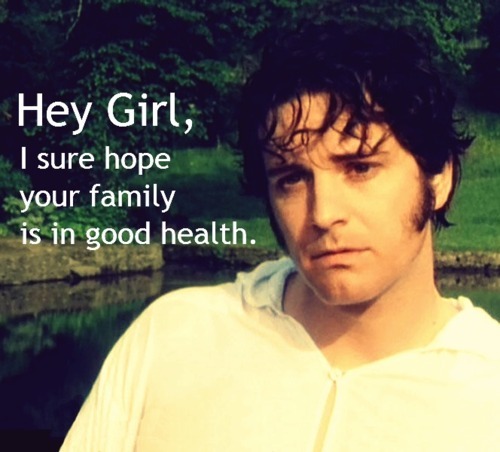 Oh Colin Firth… Oh my. Now on to Emma! DUDE! I too have just finished P&P and immediately moved on to… Emma!! Let me know how you like it! And if you want to see a cute dramatization, look up the TV version staring Romola Garai. Glad to read your blog. I love Jane Austen’s novels. A friend gave me the anthology in 1996. I still have it and my parents have just sent it to me from France.